Waterhouse at South Bund, a 1930s Japanese army headquarters building turned into boutique hotel in Shanghai. 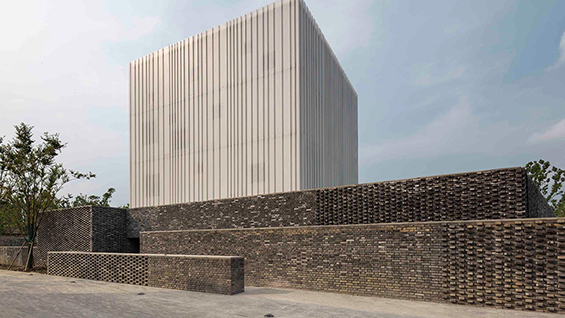 Suzhou Chapel, a white box that seems to float on top of a dark-gray brick wall, serves as a contemplative multi-faith retreat sited in a hotel complex. The Walled – Tsingpu Yangzhou Retreat, an adaptive reuse project inspired by vernacular Chinese architecture that unifies existing and new structures through a series of walls and courtyards. Design Republic Design Commune, a retail concept store based in Shanghai that offers products created by a world-wide collection of designers, many whose work was not previously available in China. Neri&Hu was named one of UK Wallpaper*’s 2014 Designers of the Year and Maison&Objet Asia’s 2015 Designers of the Year, as well as one of I.D. magazine’s I.D. Forty. A conversation with Calvin Tsao, founding partner of Tsao & McKown, will follow the lecture.